The Hebrew and Yiddish languages use a different alphabet than English. The picture below illustrates the Hebrew alphabet, in Hebrew alphabetical order. 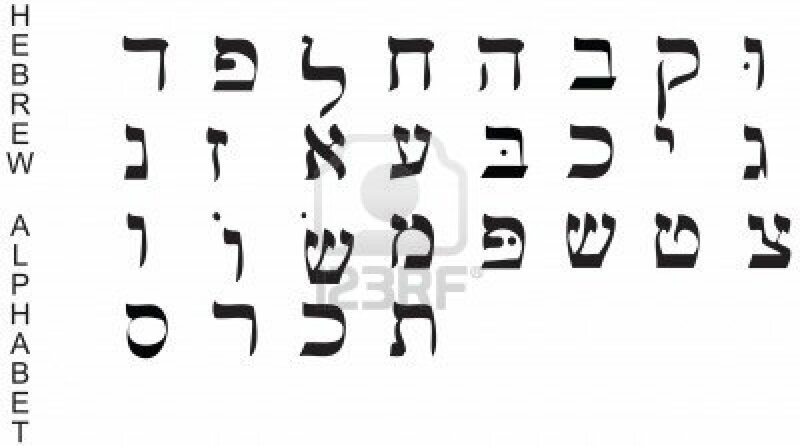 Note that Hebrew is written from right to left, rather than left to right as in English, so Alef is the first letter of the Hebrew alphabet and Tav is the last. 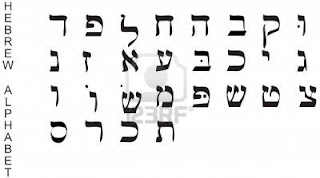 The Hebrew alphabet is often called the "alefbet," because of its first two letters.